There are around 50,000 crashes on Australian roads each year, according to safety campaign Keep Your Eyes on the Road1. While no one wants to think about the potential danger of having a car accident, it pays to make sure you know what to do immediately after. A car crash is usually a rare occurrence, and you're likely to be shaken by the experience whether you're the driver or a passenger. Knowing what you should do in this circumstance can help you keep calm and act quickly to ensure the safety of yourself and others. Here's a quick step-by-step guide to dealing with a car accident at the scene. You must never drive off from a car accident, even a minor one. If no one has sustained any major injuries that could be worsened from motion, try and park your car somewhere safe if possible. Turn on your warning hazard lights so other motorists can see you clearly. Check yourself for injuries and make sure others are safe. Keeping a flashlight in your car for an emergency helps you stay visible at night and, depending on the situation, it might be best to stand at the side of the road in clear view of other drivers, rather than in the vehicle to signal for help. It's important to keep your cool when exchanging details after an accident. If you or anyone else at the scene needs emergency help, call for an ambulance as soon as possible. Also get in touch with the police - you may need a police report for your insurer. When the police arrive, you should explain what happened to the best of your ability. Try and also gather as many details of the scene as possible (without moving the vehicles). Take photographs when you can, as you might need them later down the line. If there's another party involved in the crash (a pedestrian or other driver), ask for their details. Their name, address and telephone number will help should the police not make it to the scene in time, while other cars' registration details will allow authorities to identify other vehicles. Keep a record of all the information you took from the scene. Notify your insurer of the crash and get a claim number. Having this information at hand will help to settle any issues as quickly and effectively as possible, minimising stress later on. Some crash-related injuries will not affect you straight away. 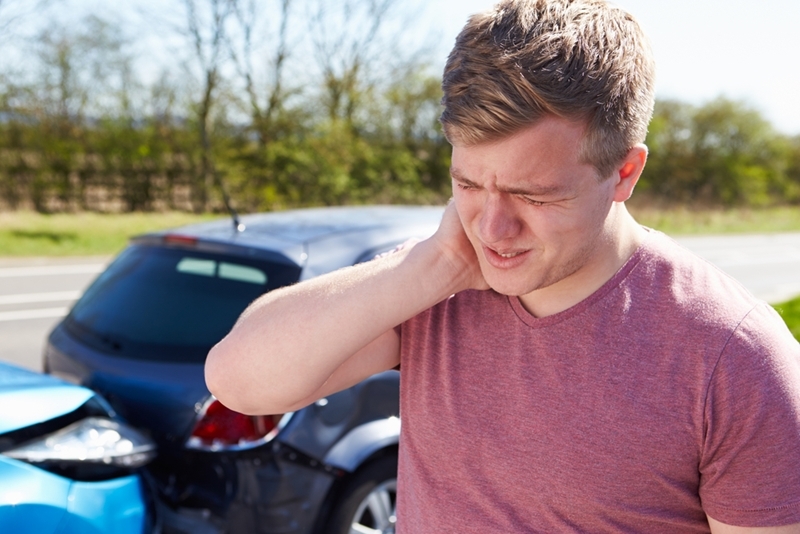 Once the adrenaline subsides, you may find yourself with aches and pains from the collision. Regardless, it's best to seek medical attention after any car accident, just to be on the safe side. Even in the months afterwards, keep an eye on your health, and consult your physician if you have any concerns. Make sure you tend to your own needs too. Of course, it's best to prevent an accident as much as possible by making sure you practice safety driving habits regularly, and that your car is roadworthy. Make sure your vehicle is up-to-date with all the necessary safety checks. It not only ensures that you won't be stranded somewhere with a dysfunctional car, but that it's also safe while driving. You can face infringements and fines by driving a car that's not roadworthy, too - it's just not worth the risks. Many times, a physical check isn't sufficient to properly assess the condition of a car. Conducting a search on the PPSR before buying a second hand car can help you make an informed decision about a vehicle. These precautionary means can all help to reduce accidents on the road due to engine malfunction. Your brakes, steering and tyres are extremely important features that can have a massive impact on an accident if they're not up to standard. 1Keepyoureyesontheroad.org.au, Accident Statistics. Accessed August, 2016.